One of the things I never truly appreciated before I became a parent was the need to find solidarity with other parents. From those first tentative, sleep deprived steps into the baby groups, to the first time you hold a little hand into the school yard. The importance of making new connections with those around you is not fully appreciated until you are thrown head first into the wonderfully scary world of babies. Connections that before you know it become your team. Being surrounded by new people with different opinions and backgrounds is so daunting. But I can safely say that since I became a parent I have met some amazing people. Mummies and daddies alike. Some have become true friends. This weekend I completed a team Duathlon organised by one of those friends. Demonstrating team mummy stretches beyond the domain of sleepless nights and nappy changes, school runs and sports days. Since my injury became apparent in January I have struggled to get to grips with any other exercise. Mentally I began to slip and those closest to me really began to see it. Laughing it off as usual, those that know me best saw through it. As my planned running goals slipped past me, motivation dipped. Then one day an invitation to do a Duathlon popped into my inbox. My lovely friend Rachael to the rescue again. Only problem, I couldn’t run and she didn’t want to. So we identified a couple more mummies. Sarah who had foolishly let slip she had secretly started running and Louise (not me), another mummy who was known for some occasional recreational running. 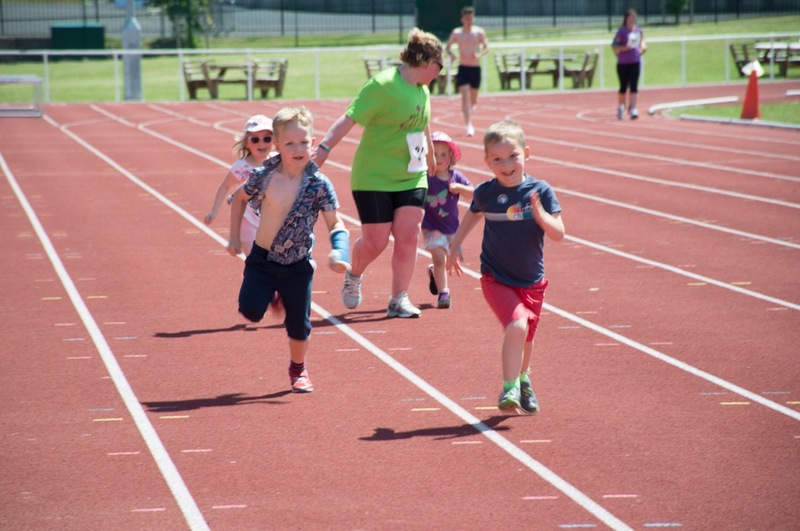 Both were approached and cajoled into joining us and so Team Little Mummy Running was born. 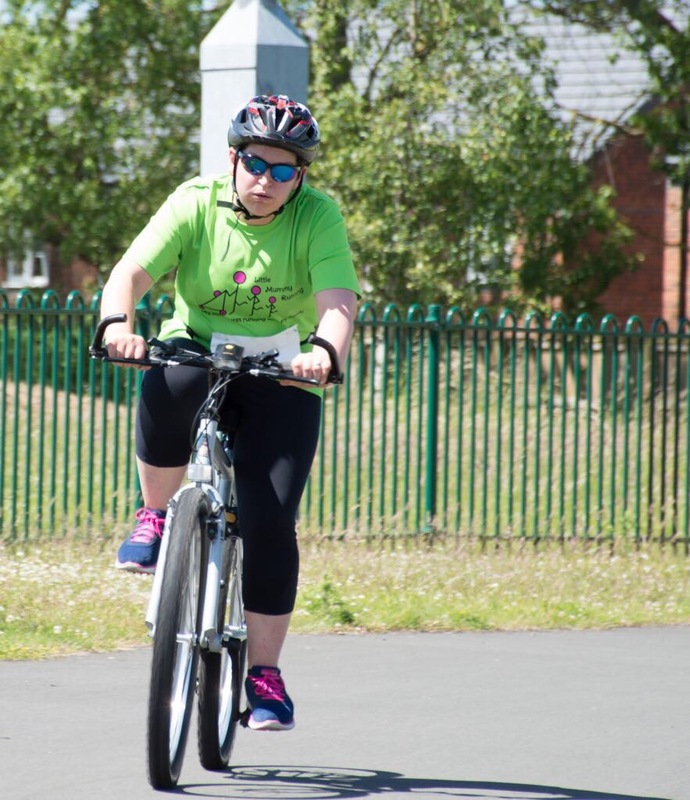 The event itself was an informal Duathlon organised to raise money for the Great North Air Ambulance. After coming a cropper on his bike, Stephen, the organiser, was air lifted to hospital and this was his way of saying thank you. The informal nature of the event suited us. We were the injured, unsure and, due to family life, a bit unfit and tired. None of us wanted to face a bunch of elite wannabes in our stage of non-athleticism. 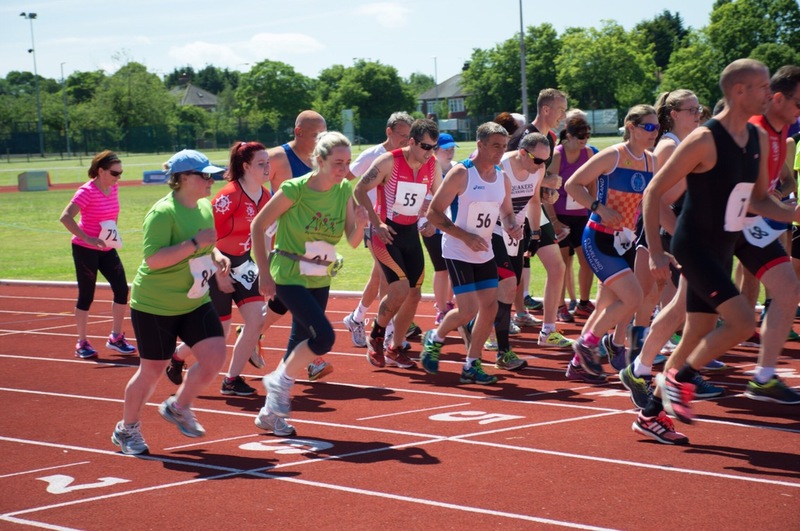 Although there were a number of participants who clearly took their sport seriously, the atmosphere was inclusive and we were buzzing in advance of the start. The temperature on the start line was somewhere around 27 degrees. Although it felt much higher. 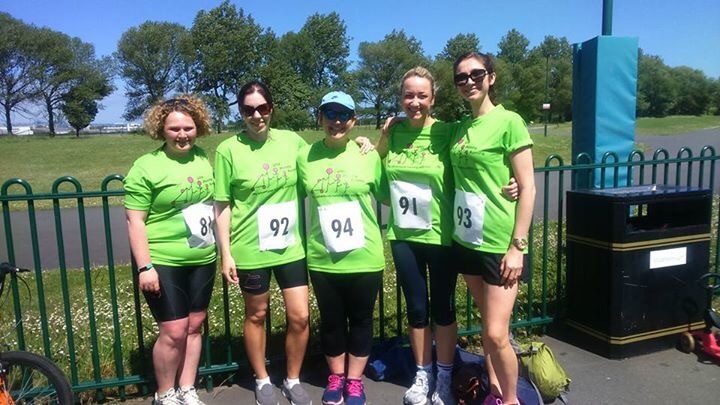 Louise started for Team Little Mummy Running, alongside my sister who was bravely taking on the whole Duathlon. 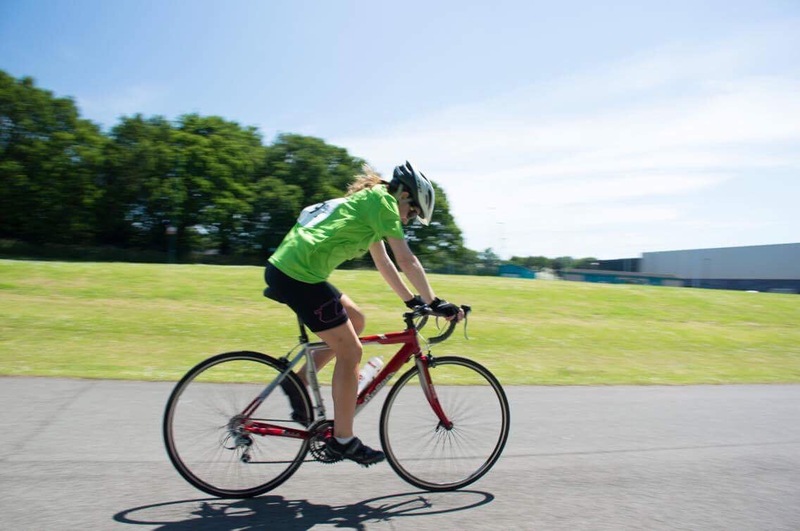 The course was 7 laps of the running track at Middlesbrough sports villiage, 16 laps of the 1k cycle track and finishing with 5 laps of the running track. 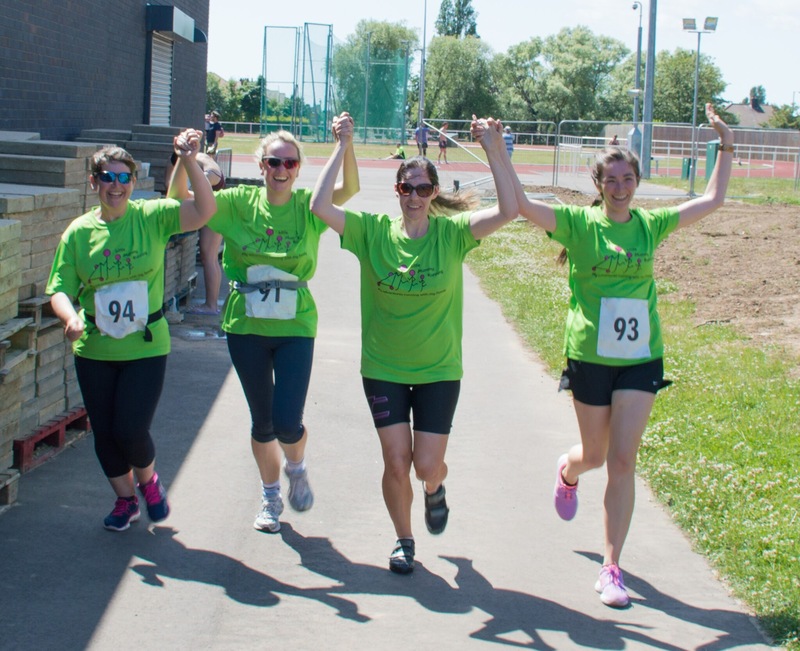 Our team was split Louise, running first, 8 laps each for myself and Rachael and Sarah running last. Louise got off to a strong start despite the heat. Taking a comfortable pace. Arriving for hand over in good time. I’m not a regular cyclist so I only have my 20 year old mountain bike with it’s big chunky tyres, and no front brakes (as I discovered on the morning of the race). The tone of the race made this fact irrelevant, although I quickly realised why someone would opt for a lighter bike as I pushed my heavy frame around the hot track. 8 laps couldn’t come fast enough. Hand over to Rachael with her road bike and expert cycling gear. She flew round the track, making up for time lost on my vintage vehicle. Much respect here for my sister who had another 8k on top of my efforts. My wobbly legs on dismount confirmed I wouldn’t have managed much more. Sarah gave us another strong albeit even hotter run round the track. This time with a pack of monkeys cheering us on. Together we crossed the line as a team. Relieved to be finished and so proud of our efforts. We returned to cheer in my sister only a short couple of laps behind us. One of my highlights of the day was the monkeys racing up the track to join her and run her in. Other highlights were Louise’s unique lap counting, mostly remembering at the last minute to count up her markers and shout out the moment whoever she was spotting was just a fraction out of ear shot. 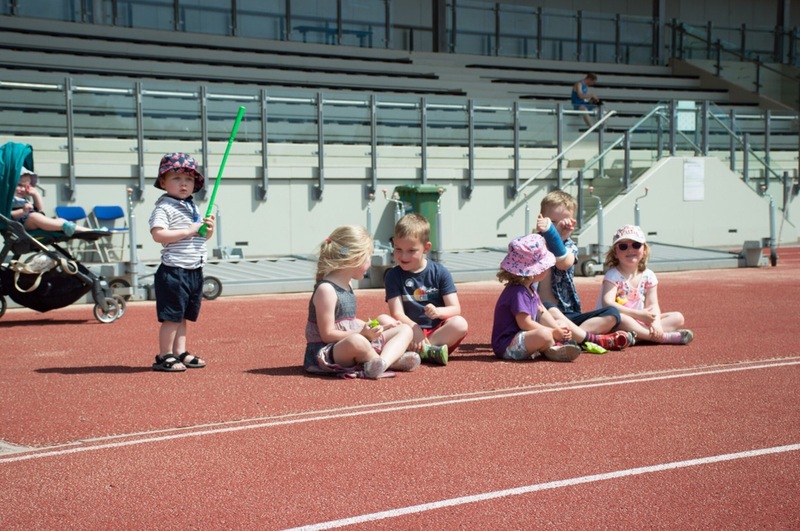 When one spectator laughed out loud at the slogan on the Little Mummy Running T-shirts, making their team debut. Finally, each one of us had a tale of Rachael’s dad (Ged of Race 8: Running T-shirt fame) taking the time to run or ride with every one of us. 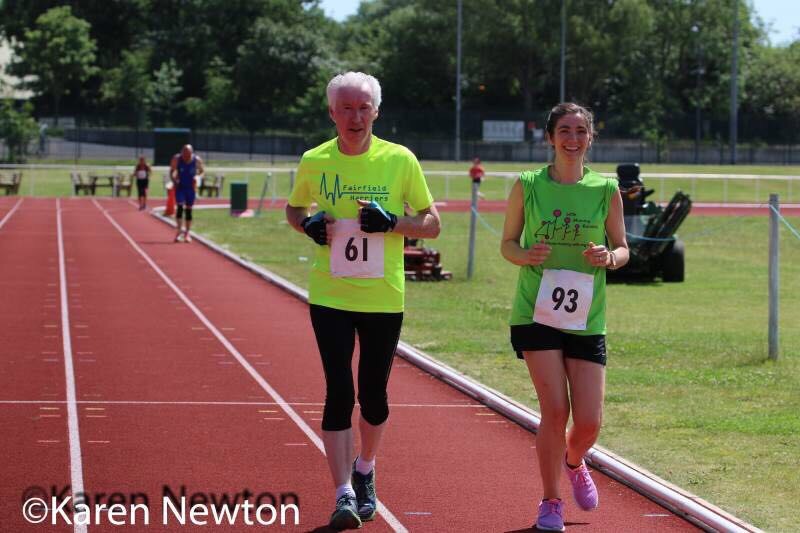 Including two extra laps with Sarah to see her into the finishing straight. He is a true legend. 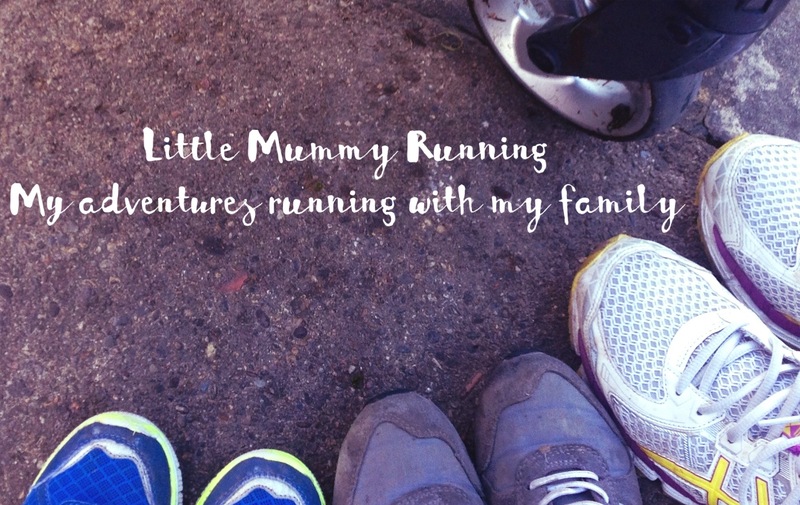 The whole experience summed up the Little Mummy Running ethos perfectly. In training and competing as parents we set a brilliant example for our monkeys. Some of whom were there to witness the end result. The appreciation that it isn’t about winning a race but taking part and supporting your team. Giving them the opportunity to be part of the experience and to run with us. The buzz we all felt throughout, however hot and tired we all were, made it worth it. Another event is planned for Halloween and we all agreed we would be in. You never know we might train a bit harder and compete as two teams next time. Overall our Team Mummy experience reassures me that we mummies are so much stronger when we support each other. We began this Duathlon as a mixture of abilities with varying degrees of suitable equipment to get to the finish line. We are evidence that you can do it if you set your mind to it. Especially if you have a team of lovely friends to come with you. ← Why can’t I promote my t-shirts with a potty picture?